Happy New Year! While it is a little late to be posting Christmas cards, I thought I would share one of my favourites, seeing as the stamps & punches are still available (carried over into the new SU Occasions catalogue). 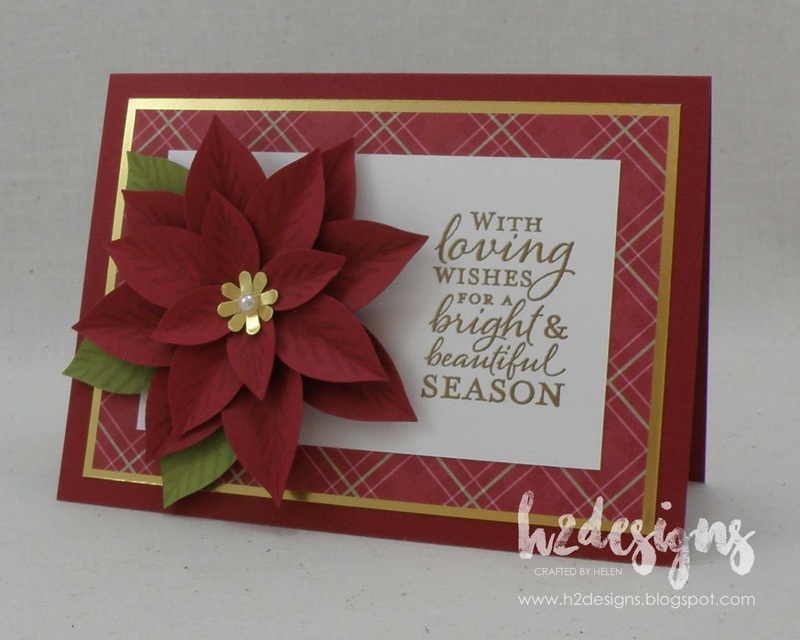 The poinsettia flower is punched from Cherry Cobbler & Old Olive, & stamped with VersaMark ink. Gold foil petals & pearl complete the centre. 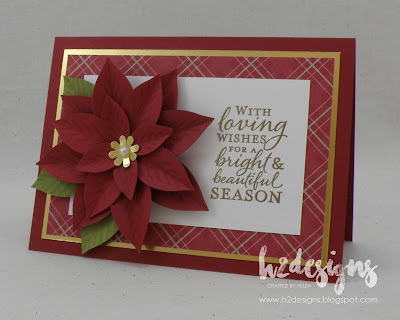 I love this Christmas sentiment which has been gold embossed for a little extra bling & the DSP is a retired piece I had hoarded in my stash!